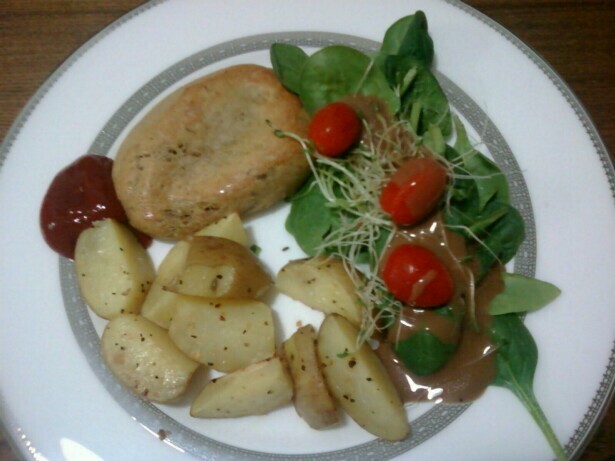 I made the oven fries on a baking sheet right next to the patties for the last 30 minutes. Potatoes misted with olive oil and sprinkled with steak seasoning! Easy! I really like using my food processor to make these, but you don’t need to. 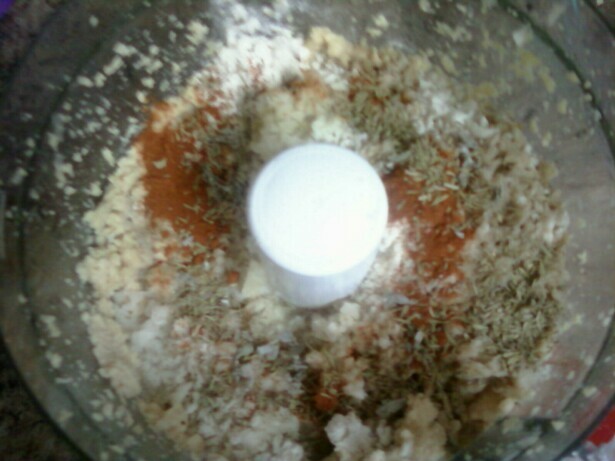 I mash the chickpeas and oil/water with the metal blade and then change to the dough blade before adding the remaining ingredients and do most of the kneading in there. 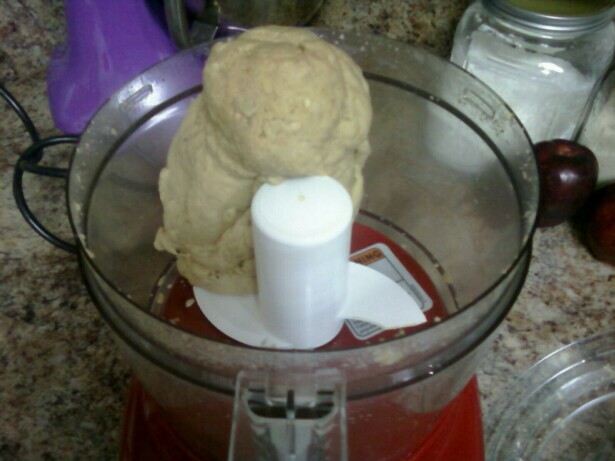 Then I knead this dough ball just slightly on the counter before dividing it into 8 patties. 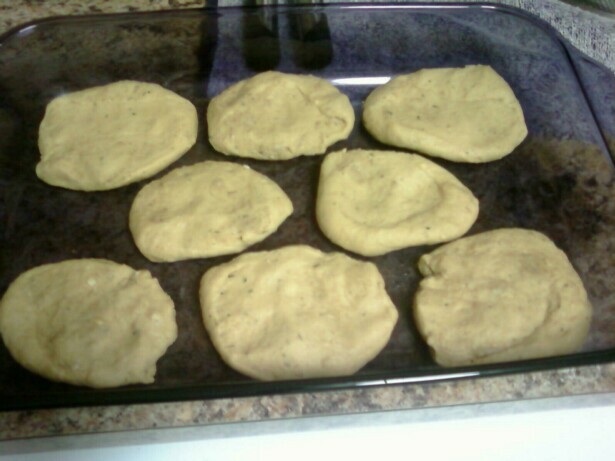 Ready for BAKING. Use the baking method! It’s the best!